Fig. Nature’s fragrance: our indulgence. Think of a large, old fig tree, your sitting underneath on your picnic blanket. Gentle warm breeze as you cut open fresh figs with a punnet of blackberries, Muscat to your right. What could be better? Having it all in a candle. 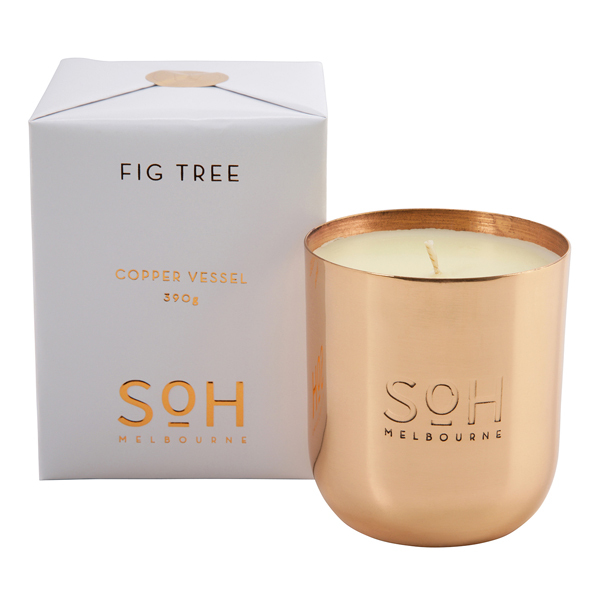 The Fig Tree candle has been created in a beautiful, Copper vessel with blind embossing & comes packaged in an elegant SOH calico bag. The most beautiful gift for you or someone special!